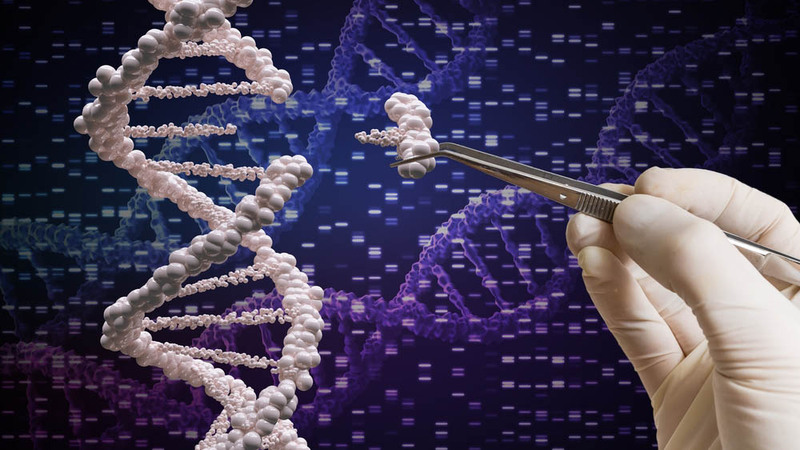 An international team of researchers has made CRISPR technology more accessible and standardized by simplifying its complex implementation. The simpler, faster CRISPR, which is presented in the journal Nature Communications, offers a broad platform for off-the shelf genome engineering that may lower the barrier of entry for this powerful technology. "CRISPR technologies can be programmed to target specific sequences of genetic code and to edit DNA at precise locations, thus allowing research scientists to permanently modify genes in living cells and model organisms to explore gene function in the laboratory, including genes associated with human disease," said co-first author Dr. David Marciano, instructor in the Olivier Lichtarge laboratory at Baylor College of Medicine. "These technologies permit a ribonucleoprotein complex to cleave DNA at a specific sequence that base-pairs with a guide RNA in the complex. Modularity of the nucleic acid/protein complex allows researchers to specify the guide RNA sequence to target nearly any sequence. This greatly improves researchers' ability to edit DNA," said co-first author Dr. Toon Swings, postdoctoral scientist in the Jan Michiels laboratory at VIB-KU Leuven Center for Microbiology. However, this approach presents some challenges, such as constraints on the sequences that can be targeted, the possibility of off-target effects and the requirement of a unique guide RNA for each target gene. Marciano, Swings and their colleagues established an international collaboration that led to a simple solution that circumvents all these issues. "Toon and I had a set of projects in which we had to construct many mutations and guide RNAs for different genes in the bacterium E. coli. We realized we wouldn't need a new guide RNA for each gene if we just targeted a universal sequence found in gene knockout collections. The sequence we targeted is found in many genetic collections of medically important bacteria and is even in some fruit fly collections," Marciano said. The researchers used a library of E. coli clones called the Keio collection. Each clone in this collection has had one gene replaced by a kanamycin resistance gene. The collection was made available in 2006 through an international collaboration between Keio University of Japan and Purdue University in the United States. "We ended up repurposing this valuable resource by targeting the two FRT sites flanking the collection's kanamycin cassette. This works out nicely because it gives you two cuts, which is harder to escape," Swings said. Their approach avoids some technical aspects of CRISPR and makes it available as an off-the-shelf ingredient for genetic engineering. It removes the need to design and clone a guide RNA and simplifies the strategy for constructing a rescue template. Also, the Keio collection can be found in laboratories across the globe and individual clones are available for a nominal fee from centralized genetic stock centers. The new work also presents the broad utility of the approach by showing it is possible to target genes that are essential to life, to make a large collection of organisms with different mutations in a single chromosomal gene and to append new sequences onto a gene, all in the gene's natural context. The method should complement existing techniques for genetic engineering of E. coli. "Many model organisms, besides E. coli, have collections of gene replacements or insertions that could be targeted by a single guide RNA in a similar manner," Swings said. "We hope our work provides a broad platform for a variety of genetic engineering approaches." "This is a nice example of the power of bacterial genetics. This is where CRISPR was first discovered, and now again, a different bacterial technology may make it even more useful," said corresponding author Dr. Olivier Lichtarge, Cullen Chair of Molecular and Human Genetics, and professor of biochemistry and molecular biology and of pharmacology Baylor College of Medicine. Lichtarge also is a member of the Dan L Duncan Comprehensive Cancer Center at Baylor. "The developed platform based on CRISPR technology will be valuable to many researchers in microbiology allowing them to perform rapid single nucleotide editing of their genes of interest or to generate chromosomal mutant collections, one of the first steps in understanding gene function," said corresponding author Dr. Jan Michiels, group leader at VIB-KU Leuven Center for Microbiology and professor of biochemistry and molecular microbiology at the University of Leuven. Is Blockchain The Solution for Healthcare? Why Children No Longer Want to Invent? If an AI Creates a Work of Art Who Owns the Copyright? Bot vs. Bot: Will the Internet Soon Be a Place Without Humans?